What was behind Mercedes and Pirelli secret F1 tyre test? The F1 paddock in Monaco was in ferment on Sunday over the story of Mercedes' secret Pirelli tyre test in Barcelona the week following the recent Grand Prix. Mercedes and Pirelli say that they got approval from the FIA for the test. 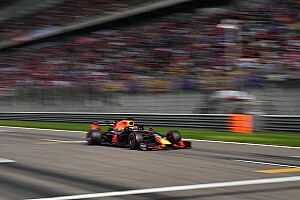 The FIA disputes some aspects of this, while Ferrari and Red Bull launched a protest and on Sunday morning were seeking allies among other teams. But some bad blood over previous protests in which those teams did not support others meant that some other teams did not join them, despite wanting clarification too. So what is this all about? Did the FIA agree to a test of more than 100km with a 2013 car and did Mercedes benefit in a way that will make them more competitive this season? And what is the likely outcome? Here is our analysis after extensive discussions around the Monaco paddock with leading figures on both sides of the row. What is the nub of the issue? The FIA F1 Sporting Regulations clearly state that teams are not allowed to test current F1 cars during the season, except for straight line aerodynamic tests and the Young Drivers test. They are allowed to run cars that are two years old or more. In Pirelli's agreement with the FIA they can call for a team to supply them with a car for testing, especially where there are urgent question marks over safety. 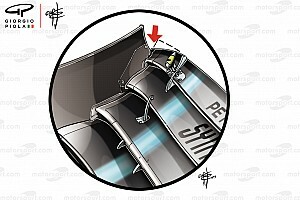 After the recent spate of tyre failures - the first being Mercedes' spectacular failure with Lewis Hamilton which caused him to take a five place grid penalty in Bahrain as it broke his gearbox - there was a need to test. Ferrari conducted a 'secret' 500km test with a 2011 car before the Spanish Grand Prix, while Mercedes ran for three days (15th-17th May) at Barcelona after the other teams had packed up and left. The issues here are: 1. Why was there no transparency? 2. Why did Mercedes use a 2013 car for an extended test? 3. 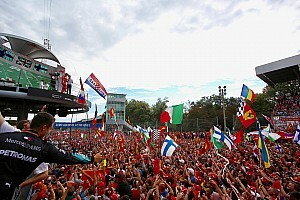 Did Mercedes gain any competitive advantage for this year's championship by doing this? 4. What exactly did the FIA sign off on and how much of their plans for this test did Pirelli and Mercedes share with the FIA? The Stewards in Monaco, which included Tom Kristensen as driver steward, heard from Red Bull, Mercedes and Ferrari on Sunday evening and filed a report for a competent body such as an FIA special tribunal to consider. The transparency issue was answered by Pirelli. They say that in the current climate, if they openly discussed such a test beforehand it would be engulfed in politics and discussion and would never take place. So they preferred, along with the FIA and willing teams, to quietly do the test to get the data they need and then do the talking afterwards. Why Mercedes? And did they get any advantage from the test for this year? When I spoke to Pirelli's Paul Hembery about this he said that he wrote to all teams last year inviting them to make themselves available for this kind of work. Some said yes and others said no. After the failures in Bahrain emails went around and Pirelli was granted the opportunity to test. The tests were set up with Ferrari and Mercedes, although neither knew about the other's test. Ferrari ran a 2011 car with Pedro de la Rosa at the wheel. Mercedes is known to be hardest on its tyres with peak temperatures some 20 degrees above what other teams have been experiencing and it was the victim of the Hamilton failure in Bahrain. The tyres tested in Spain were a mixture of development products; some solutions for Montreal addressing the delamination problems, some ideas for 2014. Pirelli says that they did not tell Mercedes what tyres they were testing, so they had no reference points. However some rival teams told this website that they know that Mercedes made changes in their approach to the tyres this weekend in Monaco, in areas like the suspension, for example, which showed that they had learned from the 1,000kms test. Although Monaco would not really show up gains very clearly, as it is the most gentle track of the season on tyres and Mercedes' Nico Rosberg set a very slow pace in the race to manage the tyres, we are likely to be able to see in Canada and especially Silverstone how much Mercedes learned from the test - equivalent to more than three Grand Prix distances - from how much their tyre wear in races has improved as a result. The FIA will convene a tribunal to consider the Stewards' report from Monaco and assess whether a breach of Article 22.4 h of the FIA F1 Sporting Regulations has taken place. They will hear from Pirelli and from the FIA's Charlie Whiting, who gave Mercedes permission to test, about exactly what he permitted them to do. If a breach of the Sporting Regulations is found to have taken place there is a tariff of penalties available but Rosberg will not be stripped of his Monaco win. Mercedes and Pirelli are likely to argue that only a 2013 car would do for this test because they needed to replicate the conditions that led to Hamilton's failure in Bahrain and subsequent failures (mainly on the left rear tyre) to address the problem for the new products from Montreal onwards. What is the bigger picture here? Many things are up in the air in F1 at the moment; there is no Concorde Agreement six months after the last one expired, there is dissent over the new 2014 hybrid engines and their significantly higher costs and there are some mixed views to say the least about commercial rights holder CVC wanting to float the sport on the Stock Market - so the FIA, Bernie Ecclestone and the 11 teams are very far from aligned at the moment and there is turmoil behind the scenes. In this context, Pirelli is fed up with the failure of the sport and the teams to agree a new contract for 2014 and for being painted as the problem. They argue that the dysfunctional relationship between the teams and lack of trust between them over testing means that they are being put in an impossible situation by being asked to produce safe racing tyres which also provide a certain amount of 'strategy' in the racing, but without being able to test them on a race track. Previous tyre suppliers in F1, like Bridgestone did hundreds of thousands of miles of testing. Their recent pronouncements have shown that Pirelli are fed up with being the whipping boy and are getting tougher in their stance; on Thursday Hembery said that Pirelli might not be in F1 next year if the teams, Ecclestone and the FIA don't get their act together. That would put F1 in turmoil as it would be difficult for a new supplier to come in and tool up to produce F1 tyres at short notice in time for February testing, especially if they too have no opportunity to test the products on a race track. Complicating matters further is the fact that the 2014 cars will make very different demands on the tyres due to new aerodynamic rules and totally different power delivery from the new hybrid engine and drivetrain units. They will have much higher torque, for example. Pirelli clearly made a mistake by being more "aggressive" with the 2013 tyres despite having limited opportunity to test them beforehand due to the restrictions and it has suffered some reputational damage as a result. But now the matter has become intensely political and is about far more than whether the races are two stops, three stops or four stops. This issue is not about testing, it's about F1's dysfunctionality at this moment.